At this point, the future of Rush seems rather bleak, but that hasn't stopped fans from remaining hopeful that the Canadian greats may one day reunite. To help shed some light on any future Rush reunion, bassist/singer Geddy Lee has now weighed in on the prospect in a new interview. CP: Speaking of the future, it seems like Rush quietly hung up their instruments after the 2015 tour. But has the band officially retired at this point? Lee: [Drummer] Neil Peart is retired. I'm still here. Alex [Lifeson, the band's guitarist] is still here. Will we perform as Neil, Alex and Geddy on tour ever? Probably not. Will we record together? Probably not. Will Alex and I make music on our own, or individually, one day? Probably. 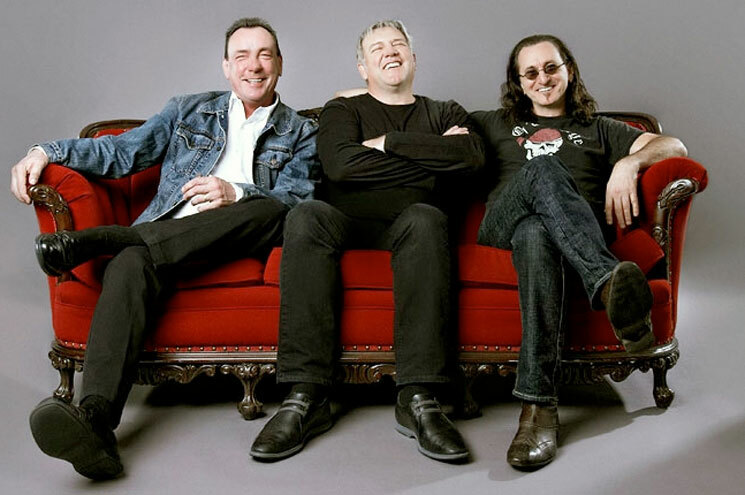 While that might not be the answer many Rush fans were hoping for, it is more positive than what Lee recently said in a different interview, where he seemed to shoot down the idea of making any new music whatsoever. That said, Lee also addressed Peart's health issues, as well as his decision to retire. CP: Peart has talked about his chronic tendonitis and shoulder problems, but why didn't Rush simply tell fans that last tour would be the finale? Lee: I don't think in our heart of hearts we believed it was the end — even though it did turn out to be the end. Maybe we would've served our fans better if we had just accepted the reality that yeah, this is going to be our last tour, and tell everybody. But they sort of had that sense and they came out because of it anyway. I wasn't really interested in capitalizing on something that may not be true, so it seemed to me much hipper to just to go out and play. You can read the full interview, which includes a lot of bass talk, over here. As previously reported, Rush guitarist Alex Lifeson is already currently at work on new material, while the Geddy Lee's Big Book of Beautiful Bass is officially out now. Last month, Rush gave their 1978 LP Hemispheres the deluxe reissue treatment for its 40th anniversary this fall.